The Palestinian Table is not really a cookbook. It is a profoundly intimate and emotional tour de force into one of the world’s most deeply complex cuisines, told through the beautiful narration of author Reem Kassis. Such is the intimacy of the recipes it sometimes feels like you should slam the book closed and allow its privacy to remain intact. 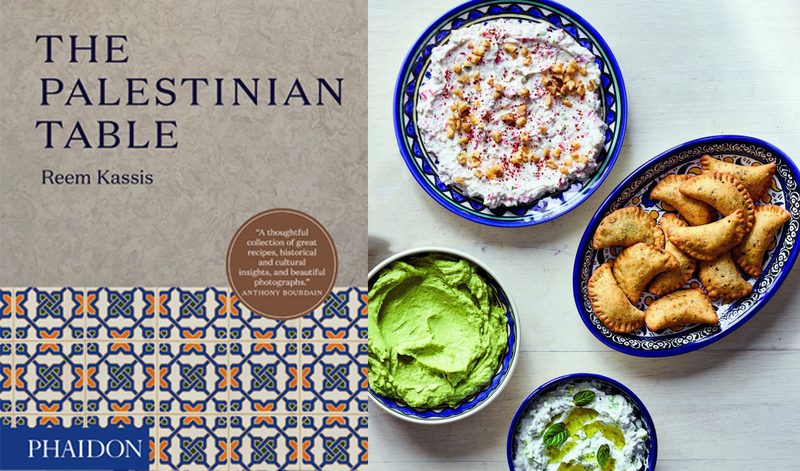 But to keep this book closed would be a huge disservice to Palestinian cooking. 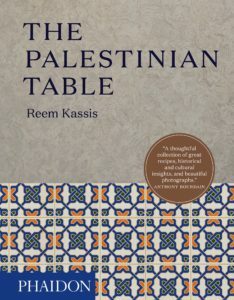 The Palestinian Table is a powerhouse of emotion – Reem takes us on a deeply personal journey of how hope, culture, and connection are intertwined with the past, present and future. Jerusalem is a melting pot of foods, religion, and cultures and was where Reem Kassis, daughter of a Palestinian Muslim woman and Palestinian Christian man, spent her childhood. A lot of her time was spent in the kitchens of her Aunts and Grandmother, watching them prepare and cook the most glorious family meals and it was in these formative years that, unknowingly, food and cooking seeped into her very essence. In some places, Reem’s narrative is quite reflective and nostalgic, as if she is writing it for her younger self. Then, in other places, her audience is clearly her future, her own daughters perhaps, as she looks ahead with hope and determination of what her cuisine can offer. This sense is magically captured in her recipes and again is a reminder of how powerful a family dinner table can be – how powerful that notion of home is. Reem is not a classically trained chef; this is a significant benefit as she approaches this book with enthusiasm and caution in equal measure. Each recipe is a splendid result of all her mistakes and triumphs, and her skill in capturing family recipes, often unwritten, is to be applauded. Working tirelessly with her mother to learn these family recipes, Reem would have to patiently explain that “adding flour until it’s soft like your earlobe” would not work in a cookbook as an instruction. I actually beg to differ, but nevertheless, she would measure out the flour, allow her mother to take what was needed, and then measure the balance, to get accurate quantities. Palestinian food takes on a complexity as deep as the region it is born from. Palestinian food is as Palestine is – resplendent in flavour, culture, and emotion and is forgiving, inclusive and warm. If nothing else, The Palestinian Table is a celebration of that. 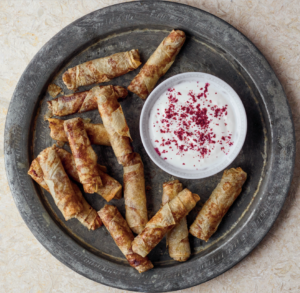 Each recipe, like Palestine itself, is layered, so each addition brings more flavour and character, and the result is something that is greater than the sum of its parts. 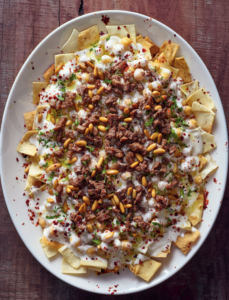 The Palestinian Table is home to over 150 recipes from the Middle East mainstay, Labaneh drizzled with clean, fragrant olive oil, to Mansaf, a lamb and yogurt stew served when honouring your most important guests. 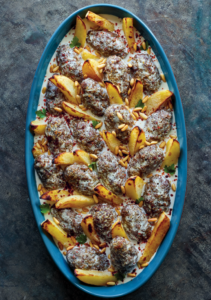 (Incidentally, a dish served to Reem’s family when visiting her husband-to-be’s family for the first time) The recipes take inspiration from the entire land from the mountains of Galilee to the valleys of the south, from the coast of Yaffa to the West Bank, in a beautifully styled book, equally at home on your kitchen table or your bedside table. For the cooking purist, one of the most important phrases in this book is “A recipe will only get you so far.” The book is surprisingly forgiving to the amateur chef – no dish will be ruined by a slight miscalculation or a missing ingredient. There is an acceptance, almost a challenge, to make these recipes in your own image. Add that extra squeeze of lemon juice to your salad, or include yogurt in your tahini, if that’s how you like it. This is how Reem’s recipes become your recipes, and how your recipes become part of your story and your journey. As I sadly arrived at the end of the book, I felt that Reem had found the magical ingredient that made her grandmother’s cooking so famous back home. She realizes that cooking by sight, sound, smell, touch, and emotion was the best way to do it. Remember, a recipe can only get you so far. Some call it a natural culinary talent; others call it intuition. 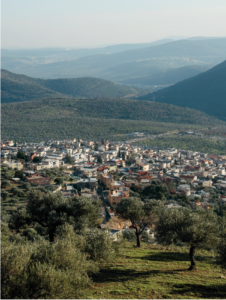 Reem’s grandmother’s village simply called it love.